According to various estimates, the IoT market globally is worth USD 6-50 billion a year . Why such large discrepancies? There is currently no single definition of the Internet of Things that clearly defines its framework. 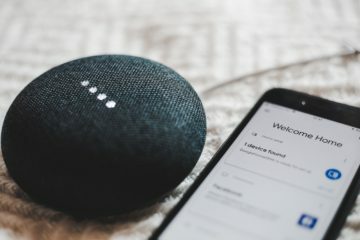 Regardless of the definition we adopt, the idea of IoT is to connect all objects, people and systems to one common network. All this in order to be able to finally benefit from completely new values resulting from the access to global information resources. Let’s consider together what are the current trends and threats in the development of modern Internet of Things. Where does the IoT start and what role will integration play in it? There are several main segments that currently form the IoT market. It is, of course, the whole consumer electronics and telecommunications sector but also the automotive sector, transport, logistics, healthcare, agriculture, energy management and even the defence sector. Many also include healthcare and wearables in IoT. Smart Cities are also an area that is growing especially in the context of rapid urbanisation of regions around the world. Virtually every sector of the economy somehow is or will be related with IoT. The business world is increasingly saying that if your business does not “switch” to IoT within the next decade, it will certainly disappear. Speaking about the future of IoT, I would like to focus on the example of smart home, for which IoT is a natural development path. Why? It is important to know that today’s smart home system is as good as it is integrated with external solutions. Integration with many different products certainly make its capabilities significantly enhanced. 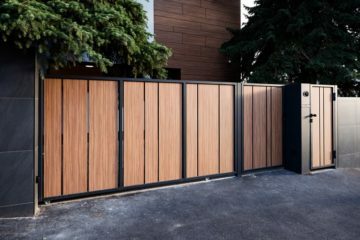 Without them, smart home would have only narrow and specialized functions, which, although interesting and useful, are not able to meet the growing expectations of society. This is the case, for example, with the FIBARO System, which, thanks to its openness to integration, enables many products and solutions to be combined into one coherent whole which makes it extremely functional. What are the characteristics of the IoT sector? IoT is the only industry in which companies competing on a daily basis also have to cooperate. For now, integration is the core. This is a very interesting phenomenon from the business point of view, but not every manufacturer who will be distinguished by an innovative product, its quality or functionality, will win in this market. 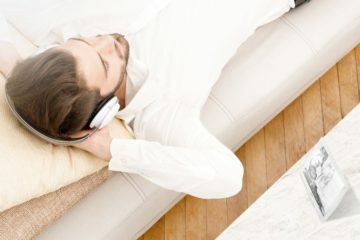 Paradoxically, the best selling smart home solutions on the market are those that easily connect with other available products. We can observe it on a simple example of control panels in building automation systems which are integration-ready and can be combined with many of the competition’s products. This makes them the core of an environment with all new possibilities to which the user can connect many devices e.g. from the white goods and segments such as lighting, monitoring and access systems, window joinery, HVAC systems and many others. Practically every day new products and solutions are developed that have to be combined into a whole. Recently, however, the market has significantly changed. Small players are playing an increasingly and important role here. Every day new companies are set up based on crowdfunding campaigns which carry out their own innovative research projects. In the past, such activities were carried out only by giants and corporations that had developed their innovative solutions for years. Cooperation between them has rarely been heard of. Usually these were big coalitions of R&D departments of powerful players. Today, even small teams can successfully deliver highly competitive solutions. An interesting observation is that “at the end of the day” all these innovative solutions do not have much value for the user. This is because typical standalone devices have very limited capabilities. Only in combination with the plethora of other devices they gain real functionality of an smart home. The same is true for a swarm of bees, where a single insect means little. Only within a group they are a powerful force and thanks to a clear division of work and responsibilities, the whole group has great opportunities. The intelligence of a swarm, just like that of a house, is linked to the number of individuals who make it up. Remember that if you have several devices in your smart home network, you get the multitude of functionality, not just the sum of them. For example, the motion detector associated with intelligent lighting, Hi-Fi and alarm systems are result of 3 functions. 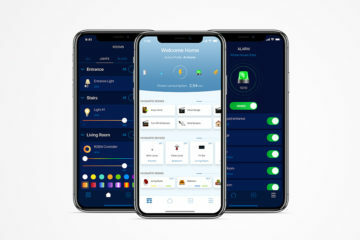 However, if the alarm system is associated with lighting that turns on, if the thief enters the house, or if the sensor does not detect movement for a certain period of time so it switches on the music or lighting to simulate presence at home, we will get further functionalities that would not have happened without mutual integration. Therefore, building automation itself, without integration or connection, is becoming a rather poor solution today. What is the threat to development of IoT today? These are, above all, privacy and security concerns. However, these two issues need to be clearly distinguished. Speaking of privacy, I believe that companies should knowingly inform their users about security mechanisms and data protection systems, as well as about private information. However, the concept of privacy should, in my opinion, be completely redefined, especially in the age of the Internet of Things and in the age of a world in which every device will already be processing hundreds of terabytes of data per second. The issue of privacy is something completely different today than it was in the past. Dilemmas related to trust in companies and institutions may be one of the biggest challenges for technology companies in the 21st century. Nowadays, there is no anonymity in Internet. We could, of course, condemn ourselves to digital exclusion and give up the benefits of the digital age, but few will decide to do so today. Privacy is therefore a question of compromise. 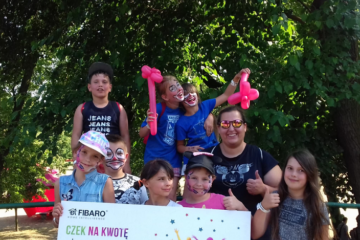 We donate part of it to gain something – to be able to check if the house is safe, if the children are doing well, or to use digital services monitoring our health. That is why it is so important that companies and institutions pay special attention to the privacy of users, anonymisation of data and education of customers. On the other hand, we have all of the safety issues. A few years ago, a break-in into an intelligent home was relatively harmless for the user. Until recently, smart house systems only allowed the light to be switched on and off remotely, roller blinds to be closed or opened, or the heating to be regulated. Today, systems are more and more combined and breaking into them can also create an immediate threat. This is mainly due to the increasing number of devices that remotely control the access to our building. These include, in particular, a video intercom system and remote-controlled locks. All kinds of monitors, such as children’s sleep or seniors activities are also crucial as are devices from the borderline of medicine: pulse bands, pacemakers or medical implants. Finally, the IoT will cover these areas as well, so it is crucial to have here safety of highest possible level. This is also important for building trust in IoT solutions. History of IoT has seen a lot of failures of major IoT equipment manufacturers. Samsung for example, who has been the victim of a virus attack called the Weeping Angel. This virus made it possible to record conversations and commands spoken while the TV was switched off. The user was not aware of the fact that it was being recorded, because the television seemed to be switched off. Such a situation made users significantly undermined their confidence in smart TV. It is also worth mentioning the case of attacks on DNS servers in the United States. DNS are devices that translate addresses of portals and websites into machine language, which is the basis for the functioning of the Internet in the world. Internet traffic was paralysed for a short time. Possibility of a cyber attack by a foreign power to precede conventional military action was considered. It turned out, however, that the attack was not directly caused by hackers or foreign forces, but by machines. This was specifically the case with the webcams of a Chinese manufacturer into which a virus had been uploaded. The whole philosophy of the attack was to run the software synchronously, which started to attack DNS servers in USA in one moment. This led to the first cyber attack of thousands of machines on network infrastructure on such a large scale. 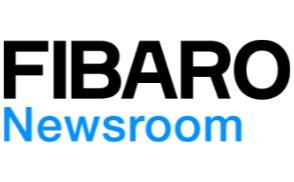 Although the virus has been deliberately uploaded by humans, this attack is thought-provoking and raises serious questions about network security. Will the monopolies dominate the market? Ultimately, the market will rather aim for standardisation. I do not think there will be any monopolisation, because the market is today relatively dispersed among the various players. In addition, startup movements that work against the clock in comparison to standard corporate operations are also taking place. Startups are a very important and innovative part of the complex jigsaw puzzle of IoT and can effectively change the balance of power in the market. In my opinion, none of the players will gain a significant advantage also due to historical events. We all remember how this ended e.g. the Microsoft case, which had to pay huge fines imposed by antitrust authorities for its practices. The last threat I see for the development of IoT solutions is our social perception and ability to take advantage of the benefits of this area, or rather its lack. This is still a major hindrance to the spread of smart home solutions. Most often they are not simple tools and require some knowledge and awareness from the user. Manufacturers and suppliers therefore have a major role to play in educating society and in integrating their solutions into an ever-increasing number of different products. If integration does not come to the fore, we will increasingly face the frustration of customers who, instead of buying complementary and collaborative solutions, will face constant hardware conflicts. This will unnecessarily reduce confidence in smart home solutions. Today, however, choosing an intelligent home is the art of making the right decisions, for which not everyone is ready. 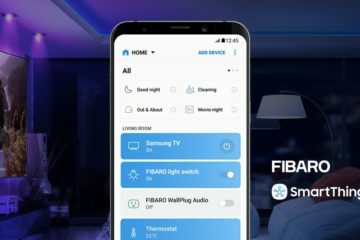 Nonetheless, I believe that by making the right decisions, manufacturers such as FIBARO will dispel such doubts and show future users that smart home does not have to be a challenge at all. Especially when we can use the help of an professional installer who will advise us during the installation process and will configure the entire system.